Do Vegas Deals brings you only the best deals, promotions and places that are a must do in Las Vegas. Want to do something fun and exciting Las Vegas while you are in Las Vegas? Come to Lake Mead and enjoy of a relaxing day at the lake with Las Vegas Water sports activities at the Lake Mead National Recreation Area. 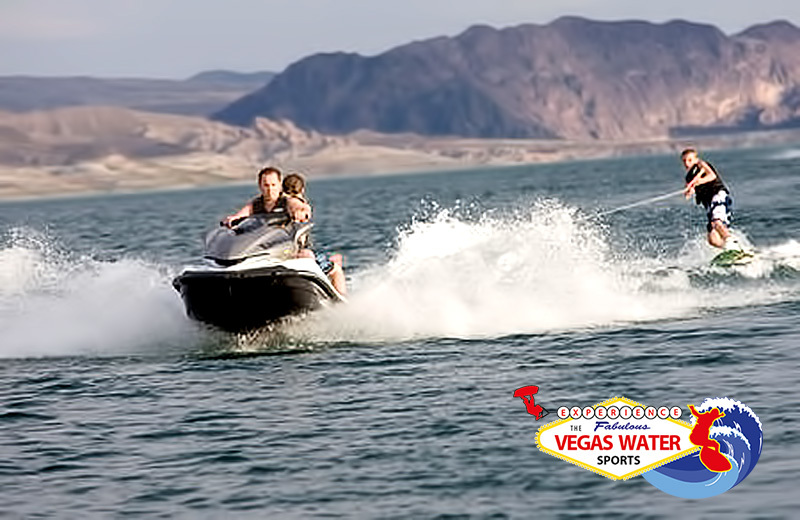 Las Vegas Water Sports offers Wakeboard, Wake surf, and Water-ski experiences with a certified instructor or just have a fun day Tubing or Knee boarding with your family and friends. Lake Mead is situated along the Colorado River between the states of Nevada and Arizona and its only 30 miles southeast of Las Vegas. If you are planning a corporate event, birthday or bachelor/bachelorette party, let Vegas Water Sports be your central hub for instructional team building experience or a group lesson for your next outing at Lake Mead. a relaxing day at the lake with our water sports activities at the Lake Mead National Recreation Area. Come and get to do something out of the ordinary while enjoying of a tour to the most amazing beaches and locations on Lake Mead to go wake boarding to water surfing, swimming, or tubing, it will be a lot of fun! This is hands down the best money you will spend in the so called “Sin City” a must do when coming to Las Vegas! Hours: Open from sunrise to sunset 7 days a week. This entry was posted in Water Activities, water sports and tagged Lake Mead, Nature, Water Activities. NOTE: This site is independently owned and operated and in no way affiliated to any venue or production company.